Tooth coloured or white fillings can be made to blend into the natural colour of the tooth. They can be used in the front teeth and often in the back teeth. They are usually made out of a material called composite, but can sometimes be made out of ceramic for back teeth where they are called onlays or inlays. 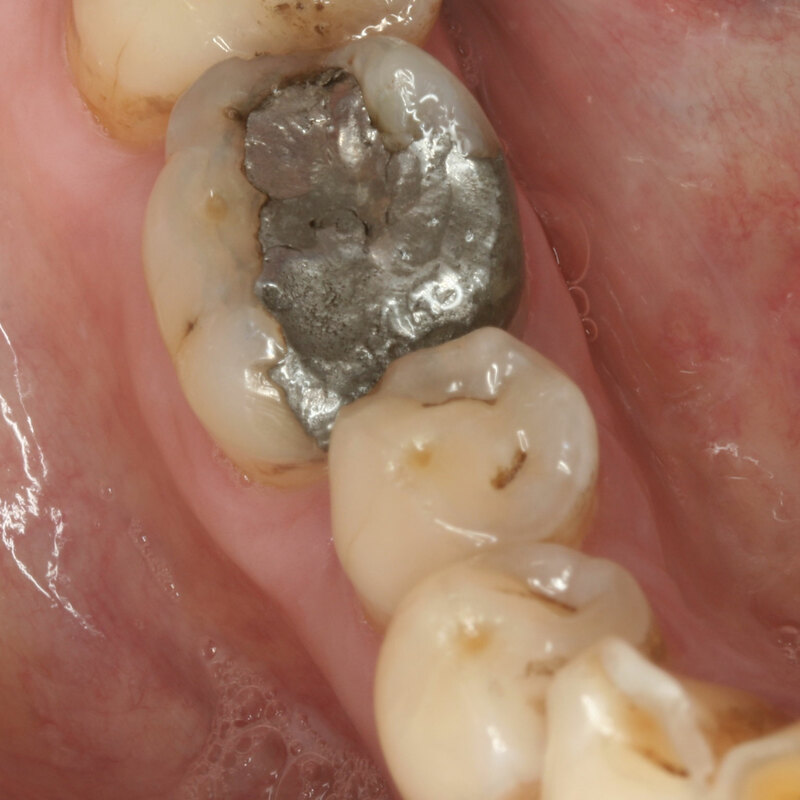 When old metal amalgam fillings require replacing, we will assess which material will give you the best solution as far as strength and appearance are concerned. In this case , the old failing filling was removed and a tooth coloured porcelain filling called a ceramic onlay was cemented onto the tooth. 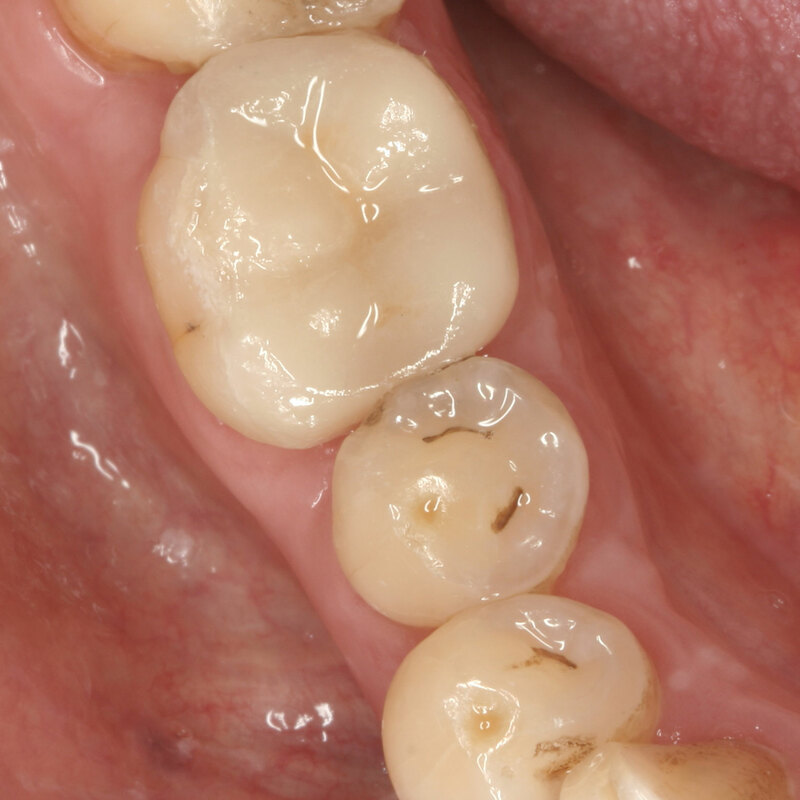 This maintains as much of the original healthy tooth structure as possible.